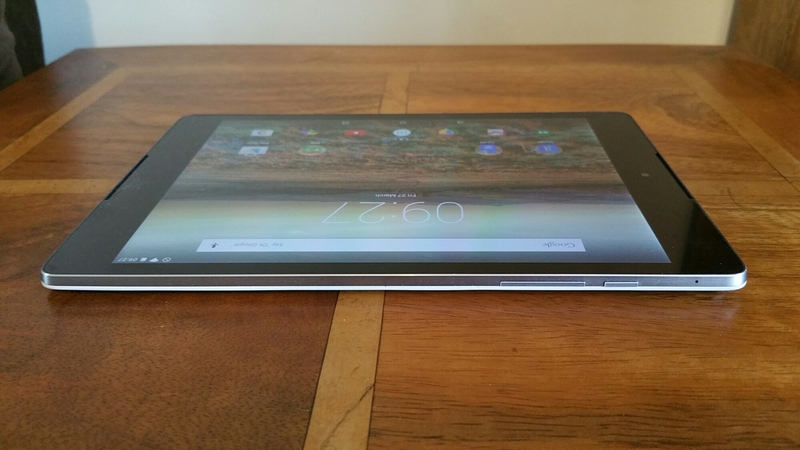 A few weeks ago, I received the Nexus 9 tablet and I provided a few first impressions. Today, I am going to expand upon those and detail my findings. The Nexus 9 comes in a few different versions, some with WiFi only and others with cellular connectivity. I have the WiFi only model with 16gb of storage. This had around 9gb storage free but after various app updates this dropped to just under 9gb. After installing a number of apps, I now have 5gb free. I can see myself running low on storage if I am not too careful. It is a shame that no micro SD card slot is included, but then this is a pure Google experience and the Cloud is clearly Google’s preferred way of managing media. As this is a pure Google experience it runs Android Lollipop out of the box. In case you did not realise the Nexus 9 is made by HTC. It is a 8.9 inch Android Tablet with a 64-bit NVIDIA Tegra K1 2.3GHz, 2GB RAM and weighs 426g. I personally thought the weight was on the high side considering it is only an 8.9 inch device. HTC’s trademark “Boomsound” front facing speakers are included..
Android Lollipop on the Nexus 9 was actually an enjoyable affair. Menus seemed more logical and the initial setup was a breeze. All of Google’s apps were included so just by signing in to my Google account I had all my documents, music and photos instantly on tap. I also liked the double tap to turn on feature. The Nexus 9 is powered by a Nvidia Tegra K1 64 bit processor. On paper this is one powerful processor and when pushed especially with certain games it really can deliver. Heat build up is present on a regular basis, but nothing to be alarmed at. One of my favourite games, T.E.C. 3001 which is specifically designed for the Tegra K1 worked a charm. However, a few other games I had bought when I had had my Nvidia Shield tablet had trouble running on the Nexus 9. I imagine these games might need an update to support lollipop. My Moga Pro Power Bluetooth Game Controller worked well with the Nexus 9. Battery was an interesting subject. The Nexus 9 is promoted as having 9.5 hours internet/video playback and this is in line with my results. However, play a high adrenaline game that requires all the processing power and that figure will halve. The display was just reasonable but not the best I have seen from Apple with the iPad Air 2 or Samsung Galaxy Tab S range. However, the 4:3 aspect ratio was a welcome change and made the whole user experience really excellent. This is one of the first android tablets I have used with a 4:3 aspect ratio, and I really hope other manufacturers follow suit. Smoothness. Following on from my initial findings the Nexus 9 is fast and furious, mostly. The Google Keyboard is super quick to use, but for some reason the tablet occasionally stumbled and redraws occurred when returning back to the home screen. Maybe 2gb ram is not enough for a totally perfect setup. Camera. The Nexus 9 has a 8mp rear camera and a 1.9mp front facing camera. Both these cameras take ok photos in good light, but in lower light noise levels increase considerably. The camera app is of course the stock Google Camera app, and consequently is a simple to use. Camera modes include photo sphere, panorama, lens blur, the rear camera can record video up to 1080p, the front records video at a max of 720p. A highlight of the Nexus 9 is its front facing Boomsound loudspeakers. The extra quality makes movies, YouTube and everything else a pleasure and being positioned on the front is so logical too. Audio output via the headphone jack was good too and the Nexus 9 supported USB Audio. 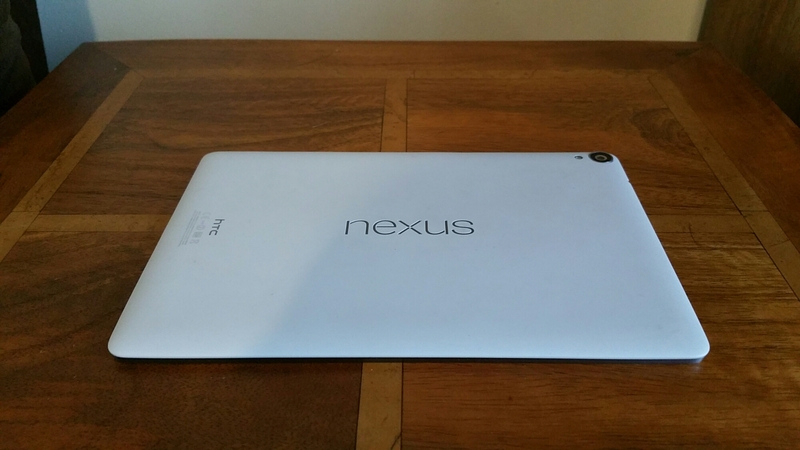 All in all, the Nexus 9 is a lovely tablet to use. It has some flaws but overall the 4:3 aspect ratio, powerful chipset, lollipop and front facing Boomsound speakers make it an enjoyable experience.